Is your iPhone touch screen not working? 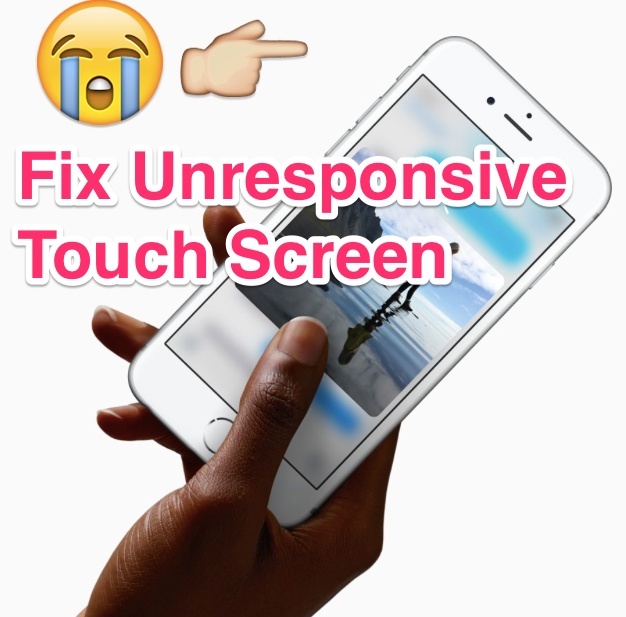 I know when touch screen of iPhone or any phone is unresponsive, we face many problems in it. Specially in iPhone, because iPhone has only one button and you can not do all work by it. If you want to call any one or you want to do any other work in your iPhone, you have to do all work by touching its screen and if screen is not working, you can’t do any thing. If iPhone touch screen is unresponsive, you can not make any calls, can’t scroll pictures or images even you can’t power off your iPhone. So it is very important to fix iPhone touch screen. In this article, I have mentioned some best method to fix iPhone touch by using which you can fix iPhone touch screen is working problem. As there are lots of reasons why iPhone touch screen not responding and also there are lots of solution to solve touch screen problem of iPhone 6, iPhone 7. iPhone 8 or any other model of iPhone. But first of all, we have to know about why iPhone is not working or what is the main reason of touch screen malfunctioning. So let’s determined it. Mainly when the physical part of iPhone display that processes touch gets damaged or stop working, touch screen start malfunctioning and it stops to talk to hardware the way it should talk. So this is why iPhone touch screen stop working. So this problem may be causes by software or hardware problem. In this article, I’ll help you in the both condition. Just read whole article and get solution. If iPhone touch screen is not working because some software are malfunctioning. First of all, we have to solve software problem if any exist because software troubleshooting doesn’t cost any charge and your iPhone will not get damaged by this. So let’s try it. But if you dropped your iPhone on the floor, it is obvious that it is a hardware problem and if you don’t dropped iPhone recently, it may be a software problem. Sometimes some apps works slow in iPhone and it make iPhone so slow that’s why we think that iPhone touch screen is not working properly. So it is a software problem. So let’s make software changes in our iPhone to better performing of iPhone. A software problem which can stops iPhone many function. Because of it iPhone touch screen can also stop working. There are some software problem mentioned below which can cause touchscreen problem. 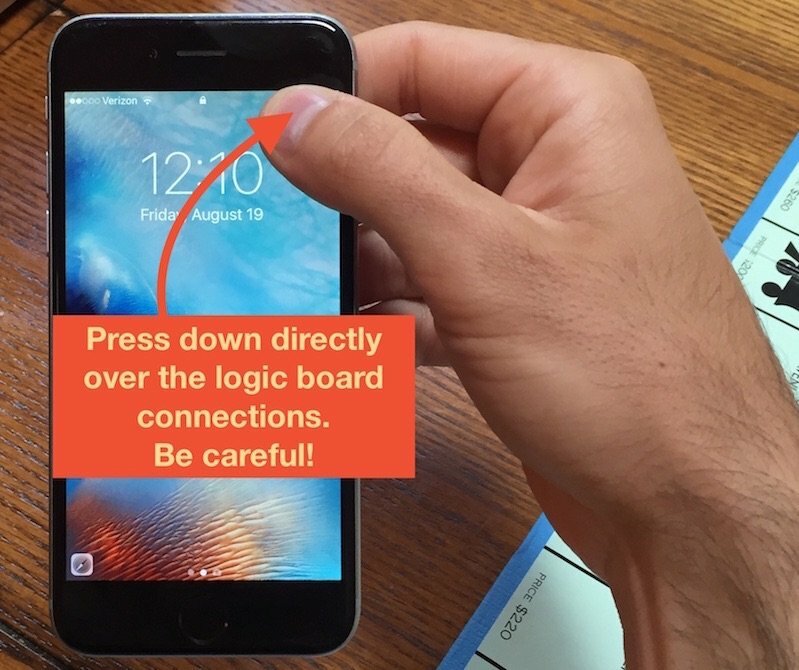 Does your iPhone touch screen stops working when you open any app? If your answer is Yes, you have to uninstall that app. You can also reinstall that app whenever you want but first of all you have to uninstall that app. First of all, just find that app which you want to uninstall. Press and hold the app until it start shaking and a X appear on the left corner of that app. Now press on the X which appear on app and uninstall it. If you want to reinstall that app, just go to app store and download it. If iPhone screen is not working after reinstalling app then go to the app and send a message to app developer. Tap on App store to open it. Now search your the app name in your mobile. Now tap on the app to know about app in detail. Now go to the bottom and tap on the developer website. Now search contact form or email address of app developer. If there is available, just email him about your problem. They will surely help. Sometimes touch screen doesn’t respond at all, may be it is because of some other software problem. First of just power off your iPhone and power on back. Now first of power off and power on back. If iPhone is not normally switch off and switch on, just try hard to do this. If your iPhone is still not working, take one other step that is just hard reset your iPhone. To hard reset you have to follow the following steps. Press and hold power button and home button at the same time. Now wait until the Apple logo appear on screen. If you have iPhone 7 and iPhone 8, you have to press and hold home button and volume down button together. Read More: How do I check if my iPhone is unlocked. Now you have hard reset your iPhone and hopefully you have solve your iPhone touch screen problem. Hard reset can cause many problem so do it whenever you need to otherwise don’t do. If iPhone’s touch screen is still not responding, you have to factory reset the iPhone. 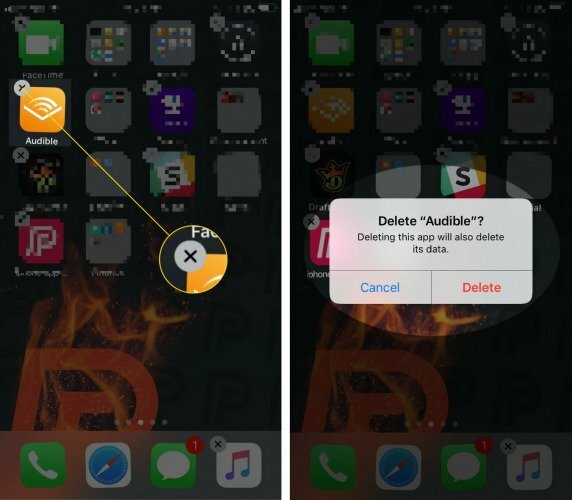 Factory reset will remove all data that you have saved in iPhone. So before factory reset, you have to back up your all save data. So back up all saved data of your iPhone and then head to factory reset. You can factory reset your iPhone by connecting to a computer and running iTune or by iCloud. So if you want to factory reset, just back up and reset it. If you dropped iPhone or you gave a hardware damage to your iPhone, it is hardware problem. Cracked screen mostly causes these types of problem in your iPhone. So if iPhone screen is cracked then perhaps screen touch is also got damage with screen because if touch screen get damage, only touch screen started to malfunctioning. So if it get physical damage, just follow the following method to fix iPhone touch screen problem. As LCD Screen and digitizer both are connected to iPhone’s logic board. 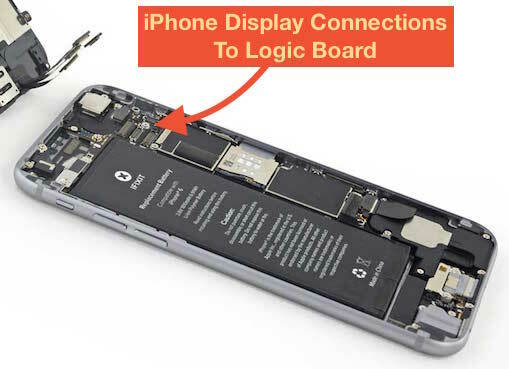 Logic board is the computer that makes your iPhone works. If iPhone is dropped by you perhaps, digitizer and LCD get loose so because of this iPhone screen started to malfunctioning. So first of all you have to fix it. So let’s start to solve iPhone screen hard ware problem. If iPhone gets damaged, the tiny cable get loose from logic board. So if it has get loosen from logic board, iPhone touch screen will stop working. So you have to fix it. Although it is long term process yet you can fix it by pressing the part where it is joint to logic board. For this you have to open your iPhone and press on the login and given below in the image. After pressing, may be it will connect again but don’t press it too hard because if you press it too hard you screen will get damage So don’t press it too hard. If your iPhone has got damaged severely, you can place a order of kit and try to dismetal the part yourself but if you are not sure and fear to do this. Just don’t do this. Just carry your phone to Apple care and tell him about your problem. If you want to save your money, just contact any third party who will come to your home and make your repair the damaged iPhone touch screen. If your iPhone is under guarantee period, just take your iPhone to Apple care without thinking and going to anywhere else because if you go any where to repair your iPhone, guarantee period will expire and they will charge money for repairing it. If your iPhone screen has repaired and you have start using your iPhone as before. If you have any other problem related to iPhone X or iPhone 8, we will surely help you and also tell me which one help you to repair your iPhone touch screen problem and which model do you have. Thank you for reading and your compliments. This entry was posted in Best iPhone Tips and tagged How can I fix broken touch screen, How to fix iPhone touch screen not working, iOS 11/11.1 touch screen not working, iPhone 5 touch screen not working, iPhone 5s touch screen not working, iPhone 6 touch screen not working, iPhone 6/6 plus touch screen unresponsiv, iPhone 7 touch screen not working, iPhone 7s touch screen not working, iPhone 8 touch screen not working, iPhone touch screen can't unlock, iPhone touch screen is not working after dropping, iPhone touch screen not responding to touch, iPhone touch screen not working, iPhone touch screen not working after replacement, iPhone touch screen not working black, iPhone touch screen not working properly, iPhone X touch screen not working, My iPhone touch screen is not working here how to fix, What do I do if iPhone screen isn't working, what do you do if your iPhone screen won't turn on on November 19, 2017 by Shubham Pandey.